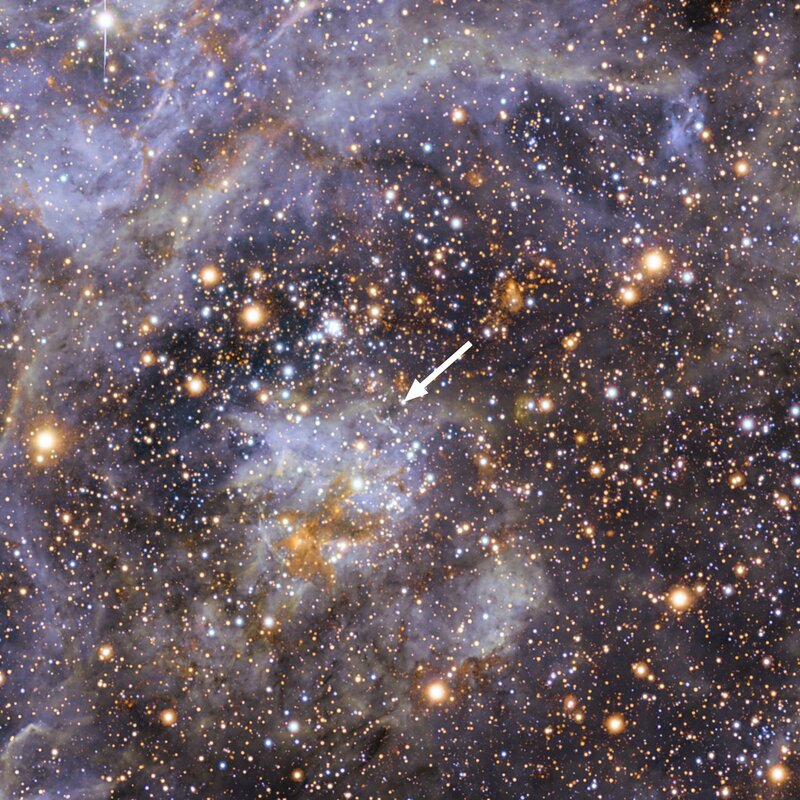 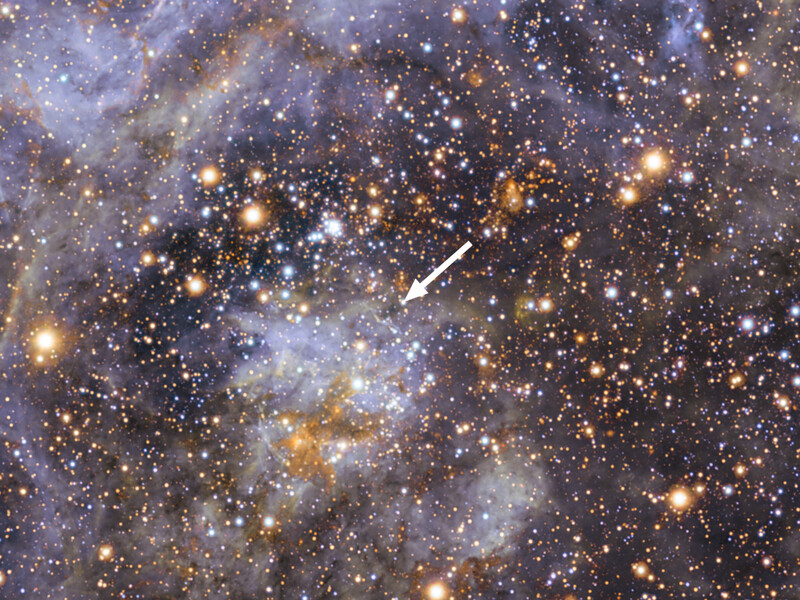 This view shows part of the stellar nursery called the Tarantula Nebula in the Large Magellanic Cloud, a small neighbour of the Milky Way. 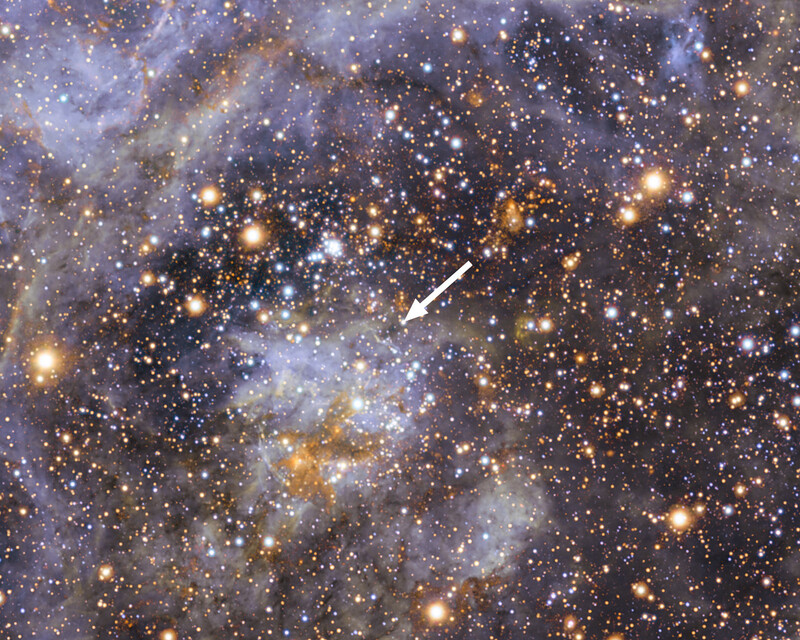 At the centre lies the brilliant star VFTS 102 This view includes both visible-light and infrared images from the Wide Field Imager at the MPG/ESO 2.2-metre telescope at La Silla and the 4.1-metre infrared VISTA telescope at Paranal. 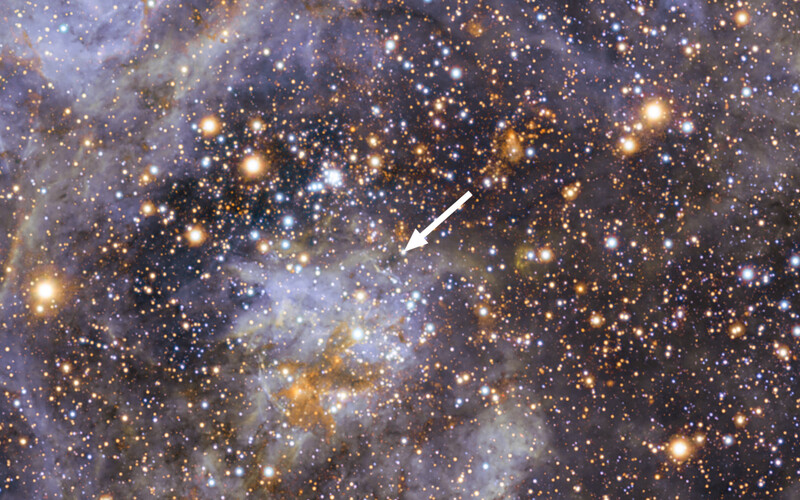 VFTS 102 is the most rapidly rotating star ever found.